DRAM bit demand is expected to increase 22% in 2018, while growth in the bit supply will reach 21%. The class-action lawsuit calls this a "classic antitrust, price fixing scheme." "Orders for DRAMs fell noticeably in April," a representative at a Tokyo electronic parts trader said. "We previously received quite a lot of orders, even from companies with whom we did little business." Demand was particularly strong from virtual currency miners. At one parts shop in Tokyo's Akihabara electronics district, video cards fill the shelves. "Until February, we would receive 10 calls a day asking if we had such and such video cards in stock," said a clerk at Dospara, a computer equipment store in Akihabara. "These days, we're doing well if we get one such call a week." 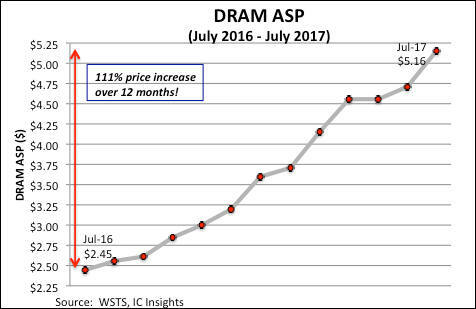 Unusually, DRAM prices began climbing in the spring of 2016, as supply failed to keep up with demand. Supplies grew still tighter, starting in the fall of 2017, as demand from individuals and companies in the cryptocurrency mining business rose. The miners were responding to rocketing prices for cryptocurrencies such as bitcoin. With a glut on the horizon, large-lot DRAM prices stopped rising in March for the first time in nine months. Buyers and sellers are beginning to agree on lower prices. Price-setting talks are under way for April-May shipments and beyond. They appear to be headed lower. 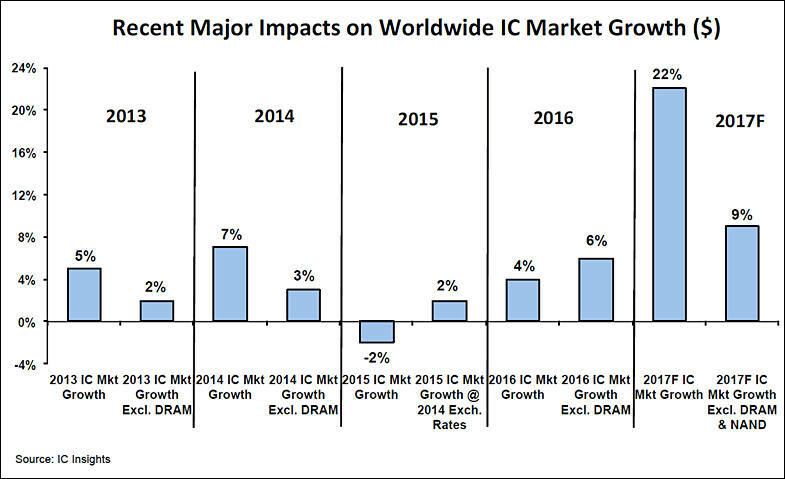 The value of DRAM shipments are expected to peak in 2018, according to IHS Markit. 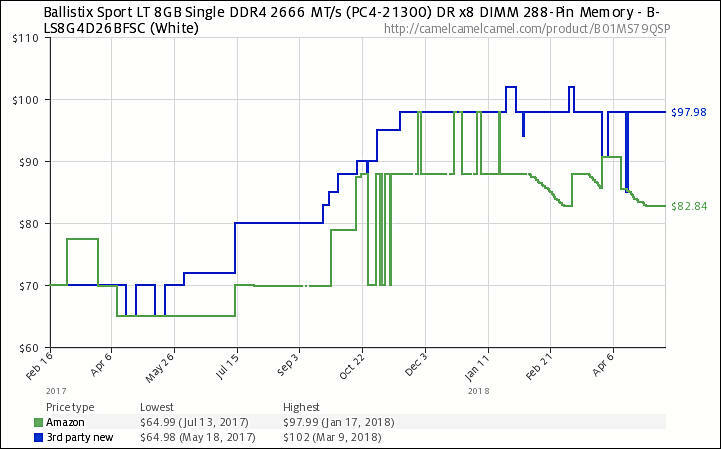 DRAM memory prices will rally through the third quarter. 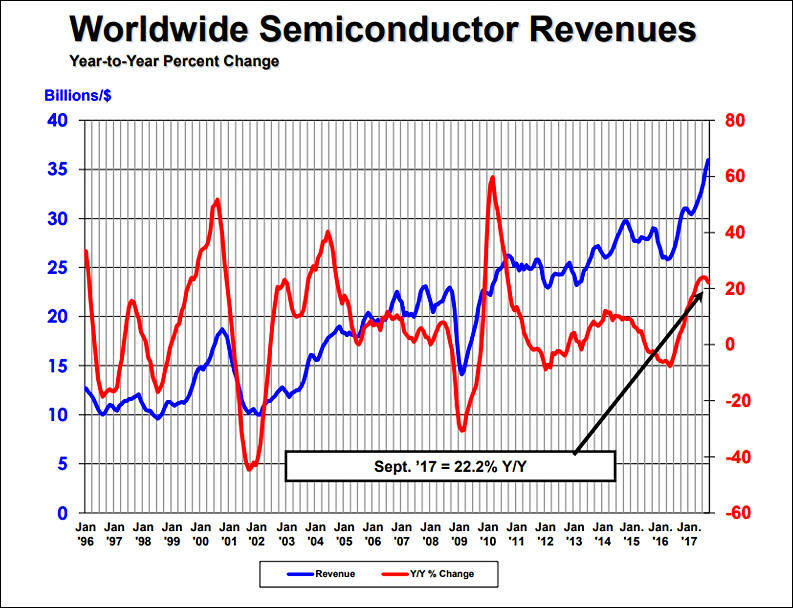 Datacenter servers will play a major driver of DRAM demand growth in 2018,. DRAM market rose 5.4% sequentially to a record high of US$23.08 billion in the first quarter of 2018. Graphics DRAM prices rallied by 15% sequentially in the first quarter, given the relatively low base and the surge of demand from the cryptocurrency mining market. Prices of DRAM products for other applications increased by 3-6% on quarter. Prices of PC DRAMs are expected to continue their upward trend in the second quarter. 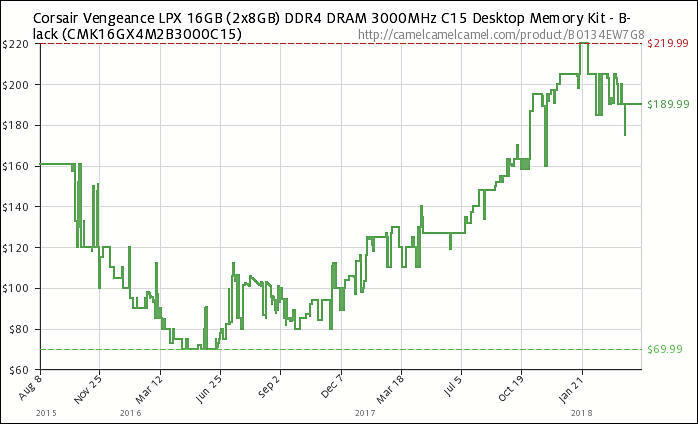 PC DRAM contract prices came to US$34 on average in April, a 3% increase from the average quote for the first quarter of 2018. Samsung Electronics remained the market leader in the first quarter of 2018 with a 44.9% market share, followed by SK Hynix with a 27.9% share and Micron Technology with a 22.6% share. All 3 are criminal syndicates. 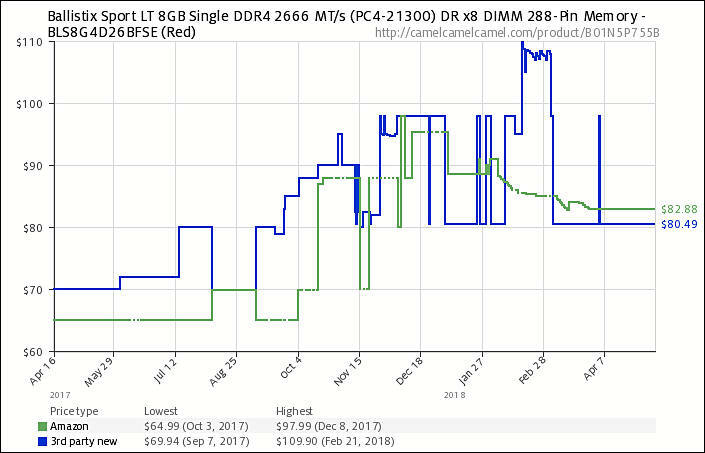 Transcend has seen DRAM contract prices reach high points, and expects the prices to likely become stable in the near future.